We are accepting session proposals till Thursday - November 15, 20:00 UTC. 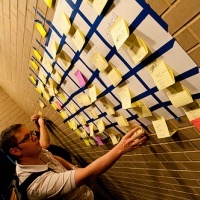 There are already 16 session proposals posted on Drupalcamp Arad site. 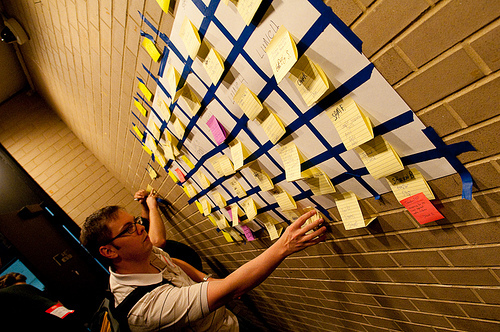 If you have something to share at Drupalcamp Arad 2012, feel free to post your proposal at arad2012.drupalcamp.ro/node/add/session. Don't forget to tweet and let everybody know about your presentation. Use #DrupalArad official hashtag. How the schedule will look like? Many of you have asked how exactly the program of camp will look like. A final schedule cannot be presented right now as sessions were not decided yet. However the conference structure is completed. Check arad2012.drupalcamp.ro/schedule. Hurry up if you want to give a session -- soon we have to close and send the schedule to print. Go and add your session proposal at arad2012.drupalcamp.ro/node/add/session.